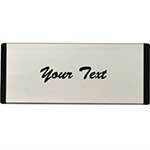 Large aluminium door sign ideal for use on doors to identify rooms. 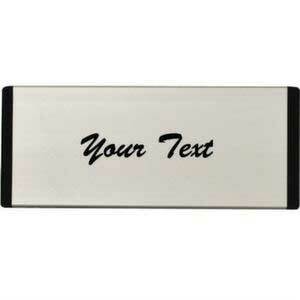 These aluminium door signs are suitable for a number of uses. 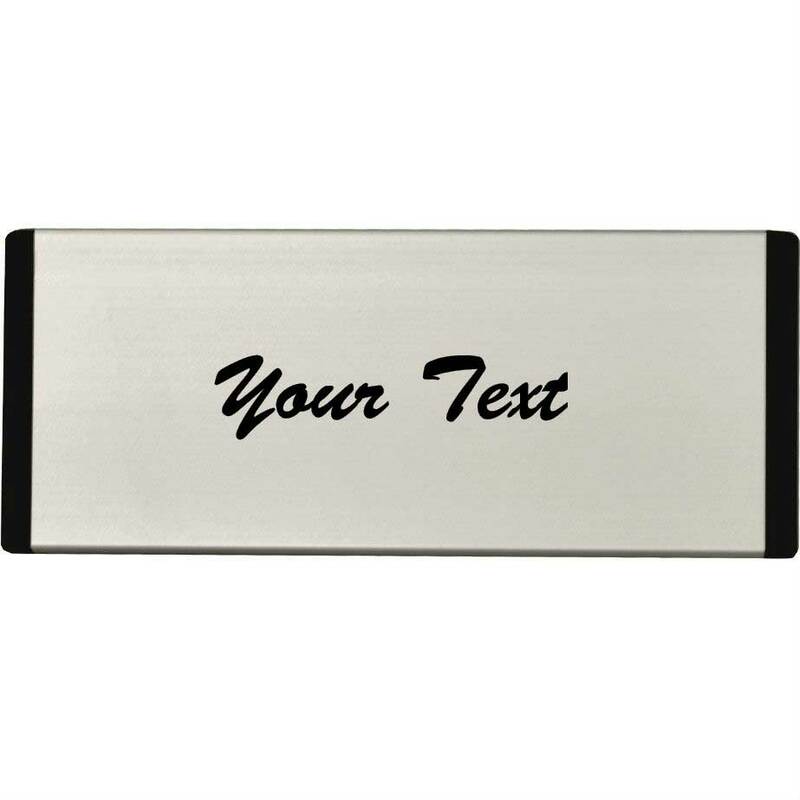 The sign has a satin anodised aluminium construction with black plastic end caps and is supplied with black text of your choice and a choice of drill holes or and adhesive backing depending on your preferred fixing method.